I recently took the leap and asked one of my favourite bloggers to be my pen pal. We had both been enjoying each other's content and supporting one another for a short while and eventually, one day, I messaged her saying 'Right, we need to be pen pals'. Not the usual kind of way that you'd approach someone, I know, but when you've been tip-toeing around the topic with each other like nervous school girls for a while, there has to be something or someone to crack the ice right open. Sofia, from the amazing Forever Fi Blog, was the one who I was asking and the one who, thankfully, said yes. 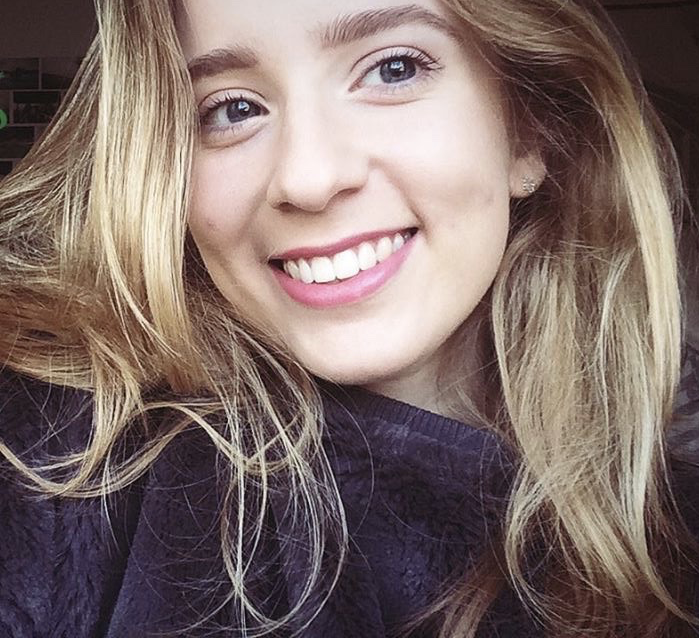 If you already do follow her (either on her Instagram or her brilliant blog), you'll know Sofia's love for cards and how kind-hearted and friendly she is; similarly, I have a collection of writing paper collecting dust, an undying love for writing, and bursting creativity. In a way, writing to each other was a way for Fi and me to not only just learn things about one another but share our personalities and embrace our love from cards/writing paper and other creative bits and bobs. Since I started writing to Sophia, we've learnt a lot about each other but we still have so much to learn and I do feel as though we're great friends already. I'd love to meet Sofia one day but, at the moment, while distance remains an issue, I'm enjoying the exchange in creativity and support. What’s your favourite thing about being a Pen Pal? My favourite thing has to be picking out the perfect card (or writing paper for others) and doing something that’s considered now as ‘old fashioned’, that doesn’t require the use of technology. I think people expect things to occur so instantly now that technology makes everything so easily accessible, so I really enjoy that feeling of taking a break, putting pen to paper and just writing the old fashioned way to someone that shares the same interests. What was one thing that surprised you when you first started writing letters? Actually how much excitement they bring when I see them on my front porch after a long or hard day. Receiving a letter that someone has taken so much care and effort to write really does make my day, and I know that can sound a bit silly because it’s just a piece of paper or card, but honestly, a letter to read after a long day can just be so uplifting. Also, another thing – the price of stamps … who knew they could be that expensive?! Might I add that I completely agree about the stamps? It's no wonder people don't write as regularly these days - stamps come with quite the (unnecessary) price tag. What does your family think about you having a Pen Pal? Specifically that it’s someone you’ve never met? My mum at first, I suppose you could say, was a little sceptical. You hear these awful stories of people pretending to be someone else online with all the wrong intentions, so I think when I first told her, she was just concerned, as any mother would be. After showing her Alice’s Instagram and blog, she immediately settled down because she could see how genuine and lovely Alice was from her social media. Also, I think in the end she fangirled just as much as I did over Alice’s feed because it’s just so utterly gorgeous! It feels somewhat strange publishing these compliments on my own blog. I'm the kind of person that just doesn't take compliments but I'm so grateful for all the love and support that Fi gives me. Which part of your blogging journey so far are YOU most proud of? Something which has happened quite recently is that I’m now an official Papier ambassador! This, hands down, has to be the moment I am most proud of because, despite some personal difficulties occurring over the past few months, I’ve managed to produce something over on my little internet corner that a company like enough to actually want me to feature their products on it! You might not know this about me, but I adore cards and am probably at my happiest when I’m buying them, sending them or receiving them, so for me to now be an ambassador for the one thing I love the most is honestly a dream come true. Fi is so lucky to be a Papier Ambassador at the moment - she deserves it and suits the role so much. Oooohh, I think I would have to go with switching it for a @katelavie sort of vibe. I will forever be in love with her orange toned/pastel perfect pictures. So I think if I could completely change my theme, it would have to be to something similar to this: (insert picture of kate’s feed). Other than that, I would really love to just mix up my theme by posting what I love when I want without worrying about having a set ‘theme’. I am a sucker for aesthetic and organisation though so I doubt that would ever happen but one day I would love to have a ‘theme’ that is just a collection of photos I love in no particular order … does that count as a theme hahaha? I adore the 'theme' that Sofia has going on right now but I'm sure that we all would switch for Kate La Vie's feed - it's gorgeous. What made you choose Wix? This answer actually comes with a little bit of a backstory because one of my closest friends from home, at the time, had just recently created her own website to go alongside her fashion journalism degree (https://www.emiliesshoppingtrip.com). 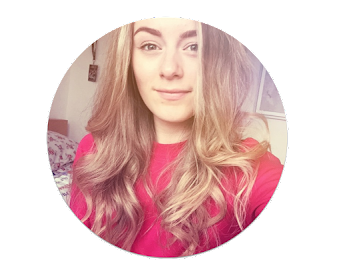 Having seen what she had created, which was completely original and 100% her, I decided to give it a little go myself just to see where it would take me (little did I know at the time I would end up hitting publish!). Not going to lie, I often see so many amazing blogs that have some of the best content I’ve seen, but at the same time, I can’t help but feel that their layouts are all a little bit samey. I’ve always been that person that wants to do things a little differently and I’m not one to often follow the trends, so I thought I would push myself and start from scratch over on Wix. I’ve always struggled with blog templates, having found them so expensive yet restricting, and so, despite wix being completely new to me, I wanted to create something that just resonated me through and through. If you could go back, what would you have done differently on your blog from the start? I would have created a twitter for my blog sooner. I never truly realised how important it is to promote your own work, and I feel this is definitely something I missed out on at the start of my blogging journey. Having a twitter dedicated solely for your blog allows to you not only interact with other like-minded bloggers that you don’t necessarily follow over on the 'gram, but also allows you to promote your blog posts to reach a wider audience. Other than that, there is very little I would’ve done differently, I’m beyond grateful to be a part of such a loving and passionate community and wouldn’t wish to change any part of getting to where I am now. I'm totally the same and this is something that I would like to drill into the minds of any starting-out-blogger. USE SOCIAL MEDIA FOR PROMOTION. In the world of social media, why did you choose to write letters? I chose to write letters because I love how much joy it can bring into someone’s day. Like I mentioned before, receiving a letter or a card never fails to brighten my day and so I choose to write letters to give some of that love back. I would hope that my letter would give them the same special happiness that I would feel if it were me receiving it. 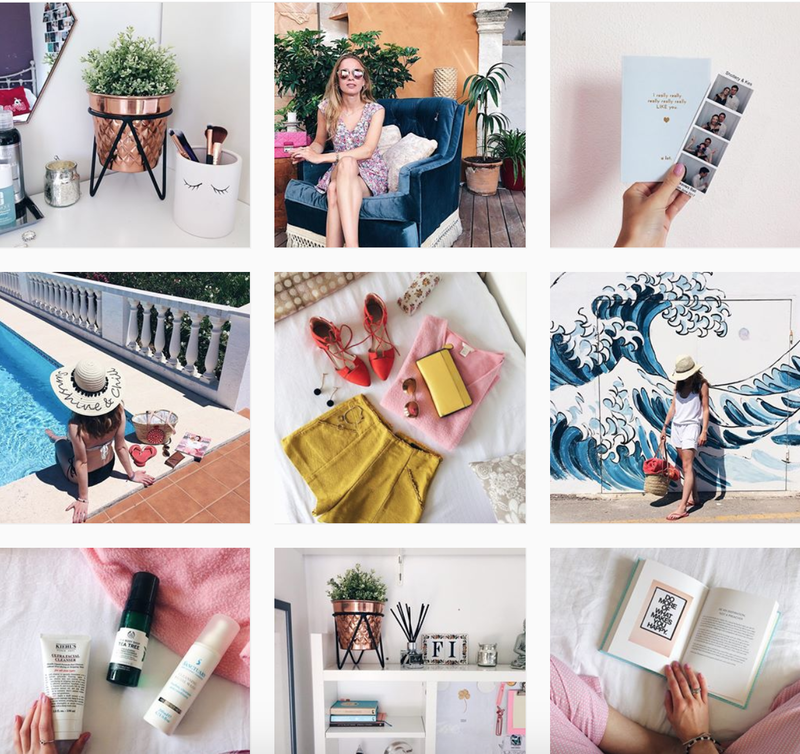 Which bloggers are inspiring you right now? There are honestly soooooooo many wonderful people that inspire me daily to do better and stay positive. 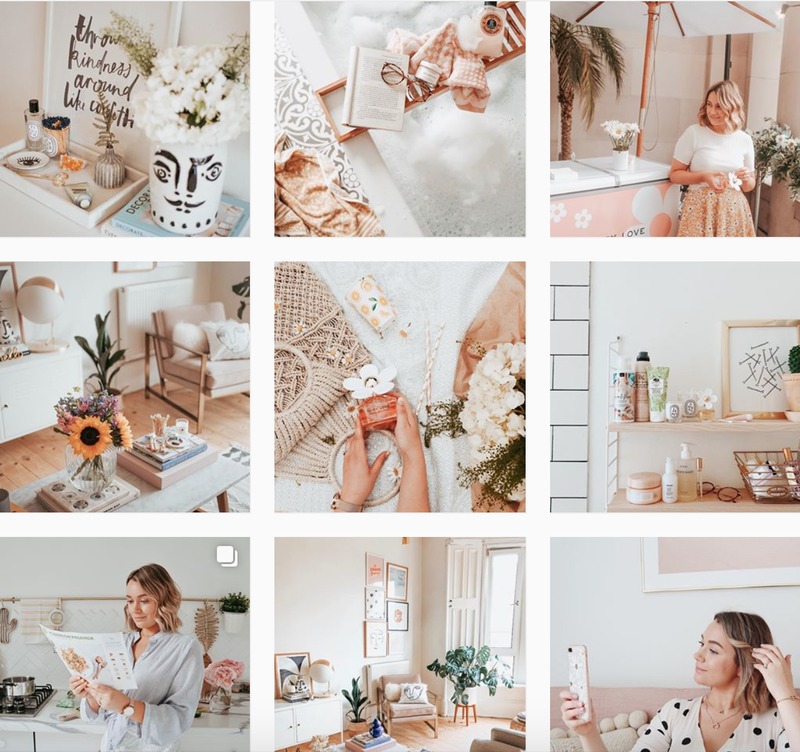 A few of my favourites include @estherruthwyse, @chloeplumstead and the lovely @snowllifestyle All these ladies are constantly killing it with both their photography and their blog and I love how true they always are to themselves. As for a few accounts that have alllllll the aesthetics, these include @fi.amery, @ayseemerve, @samanthavandepoll and @ohsomint. It's amazing to be writing with such a wonderful lady and I'm so excited to get to know her more and more. Having a friend as like-minded and kind as this is so refreshing and I do encourage anyone who has an internet friend (that they can trust) to start writing to each other. It's a beautiful, creative, and wholesome art that I never want to die out. questions on Fi's Blog, here. Her Insta, Twitter and Pinterest! I looove Fi’s blog & instagram! I’ve always seen her cards on her Instagram and she and you have now inspired me to maybe start penpalling too!